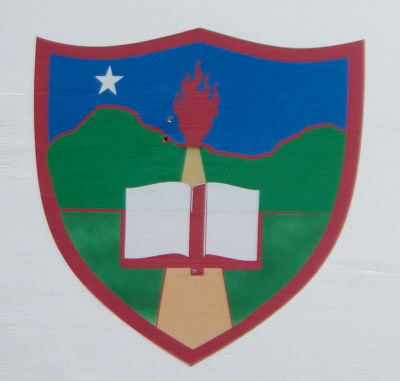 "Our mission is to foster the total development of students and prepare them for higher education and the world of work; to this end we ate committed to working closely with parents and the wider community to create a nurturing environment where students are motivated to pursue excellence and develop their intellectual, social, moral and creative potential." 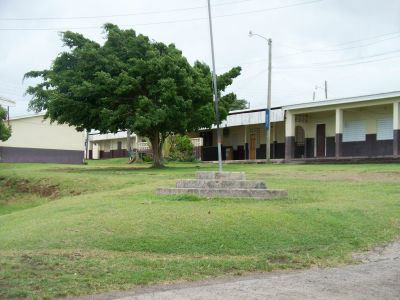 School and Girls High School, then the two school merged in September 1967. 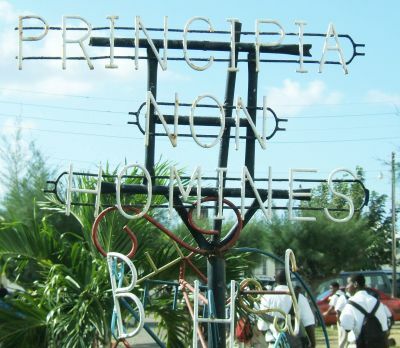 "To ensure that each and every student of the Cayon High School receives quality education and in so doing instill discipline, self-respect, respect for other, honesty, good behavior, a sense of National and civic pride and a willingness to work"
The new Saddlers Secondary School is designed "to allow children to take their rightful place in the community of the world." Whereas the structure and design concept of the school are new and innovative, and the teaching tools include recent technology, parts of the teaching curriculum are pioneering as well. Education Permanent Secretary, Osmond Petty said that a recent World Bank survey among employers revealed that while academic and technical skills are necessary, value-based skills were also critical for employment. He said employers identified attributes such as honesty, integrity, work ethics, cooperativeness and team-spirit as essential. 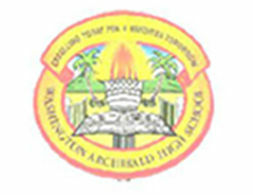 Mr. Knight further noted that while the subject offerings will be comparable to all other government high schools in the Federation, the delivery will be different. 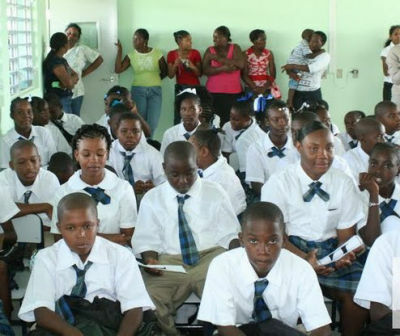 He said that as outlined in the Education White Paper, from First to Third Form, the Caribbean Certificate of Secondary Level Competency (CCSLC) will be used as a curriculum guide. He elaborated that at present, in other schools, CCSLC is used chiefly in preparation for school leaving exams. 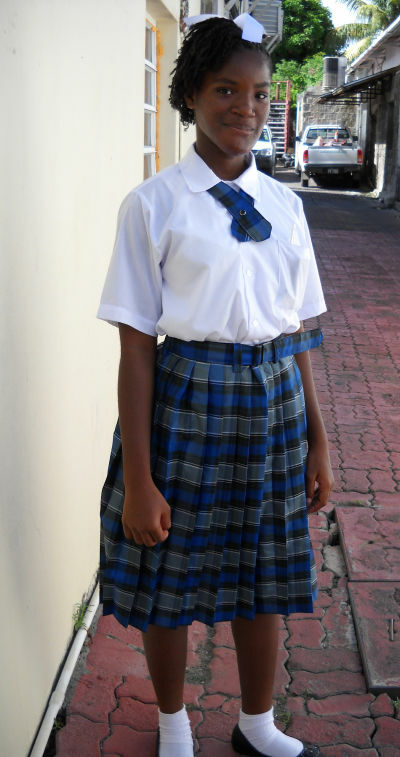 First Form only, will be attending, but an additional form would be added each successive school year. 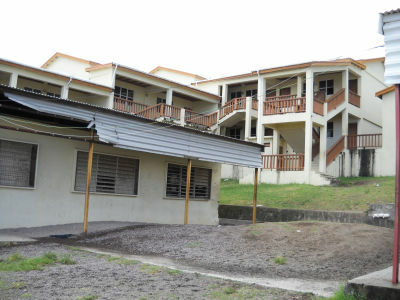 This year it will house, at the most 72 students, who will be divided into four classes of 18. 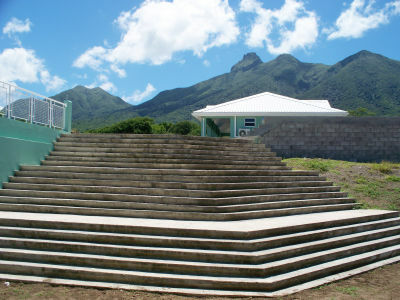 To assist students in the optimal use of the computer, the school already houses the appropriate infrastructure. A wireless internet network is accessible anywhere on the premises. 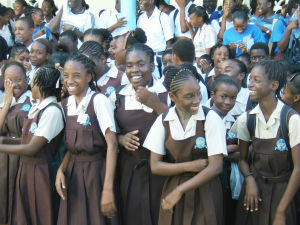 The Ministry's Education Planner, Quinton Morton said the infrastructure can be described as technology-rich for it can operate most of the recent technology devices. 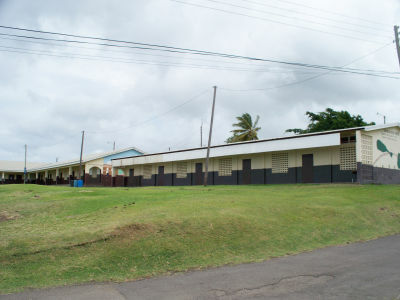 He said that while most high schools have two computer labs, Saddlers Secondary has one, but it offers much more than the others. The Education Planner also said that the school boasted a computer cart that could take laptop computers to the children anywhere on the premises. He illustrated that should there be need for research following a particular subject, the student would not have to physically get up and go to a lab, but instead the internet could be accessed on a laptop, in the same classroom. is termed "white technology" which includes the use of smart boards. 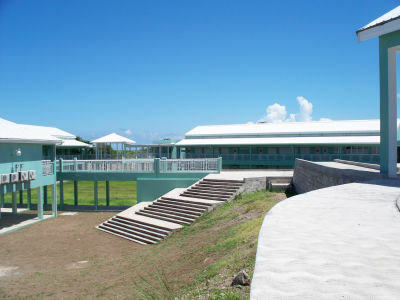 He explained that while most local high schools have smart boards, which are virtually computer monitors projected onto the class' white board, those at Saddlers will be more up-to-date. They will include computerized slates that allow teachers to operate the smart boards from anywhere in the classroom. 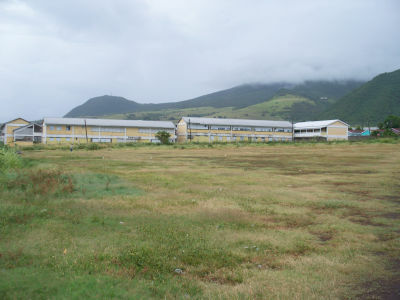 The St. Kitts and Nevis Poverty Assessment Report of March 2001 determined that there was inequitable access to education for youth in the villages from Mansions to DieppeBay. 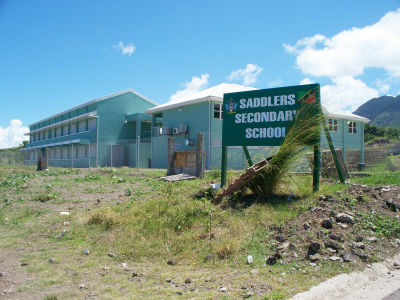 As such, the inclusion of Saddlers Secondary in the OECS Education Development Project was a means of beginning the process to alleviate such. 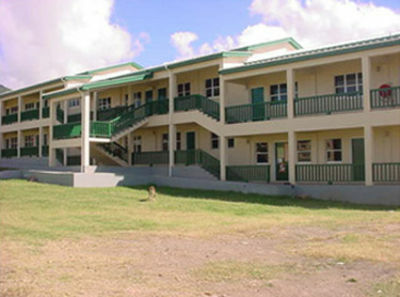 Construction began in 2006, the school was officially open on Monday 7th September, 2009. 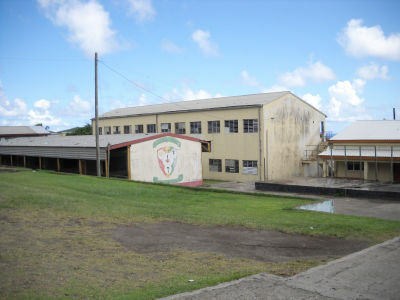 The Sandy Point High School started in 1966 with Principal Rev. Joseph Manchester as it first Principal. 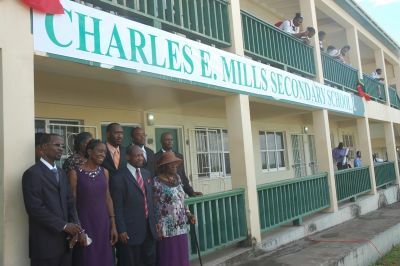 Rename Charles E. Mills Secondary School on Thursday 30th September, 2010. 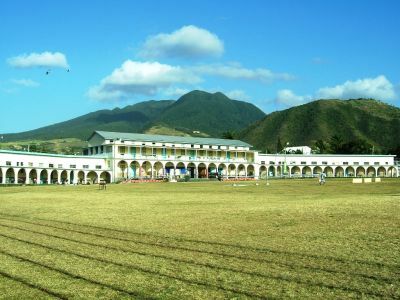 The Verchilds High School was established in 1992 and is located at the foothills of the beautiful Verchilds Mountain overlooking the Caribbean Sea. 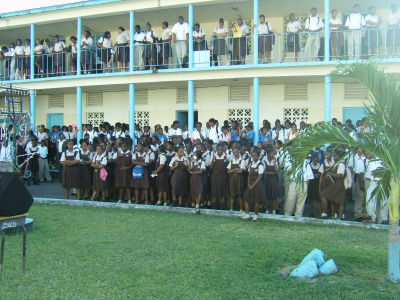 The school community in comparison to other high schools in St. Kitts is small. 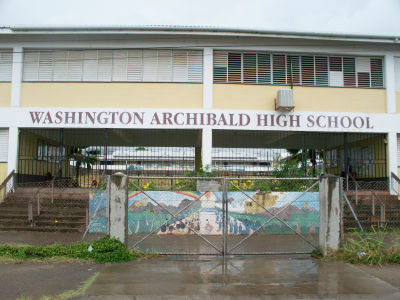 founded in 1999, transforming from the Basseterre Junior High School into a full fledged High School. Today, there have been 26 visitors (48 hits) on this page!